Most writers read a lot. I remember one of my brilliant tutors on my Master’s course telling me I have an ‘ear’ for writing and I replied that I read all the time. She suggested the two weren’t always connected, but I believe that good writers inspire good writers. To that end, I have just finished reading three books, all which have inspired me for different reasons. Even books I don’t like inspire me, on reflection: that Donna Tartt wrote the magnificent ‘Goldfinch’ after she wrote ‘The Little Friend’, which I found slow-moving and indulgent, is a real inspiration to me as a writer. We can all write our best works and be brilliant in our judgement and sometimes we will write at our worst. It’s normal. But on to Bellow, Banks and Gappah. They wrote the first three books I read after Christmas. (Most of my presents were books, and long may that continue!) Three more different books you could not choose, but each in its own way inspires me to want to write as well as I can and, indeed, to start scribbling straight away (if scribbling is what we do at keyboards). Iain Banks’ ‘The Quarry’ is a great read. The persona is a young man with Asperger’s Syndrome. It is at this point that I could have been put off, shrugged and thought about bandwagons , but eighteen-year-old Kit is no stereotype and Banks has been careful to make the character’s idiosyncrasies his talents and to develop an interesting, quirky and heroic protagonist. The story is a kind of Peter’s Friends, or Guy’s friends: Kit’s father, Guy, is dying and his University friends of old come round to share time, drink, take cocaine and other substances and look for a significant, lost video. No spoilers from me now, but some great characters. Some I warmed to – Hol is just like me in so many ways – and some I disliked, such as Pris and Rob and Ali and Paul. What I found inspirational about the novel was the skilful way Banks writes, strong prose which guides the reader where he wants them to go. He is a virtuoso storyteller. The pace is fast and not indulgent and the prose is sometimes hilarious and sometimes poignant, yet rarely sentimental. Banks’ storyline is – dare I say it – nothing special. The skill is all in the telling. That is a great lesson in itself. How I wish I could write like Saul Bellow. As a writer, I enjoy writing description, but I usually keep my evoking of person and place respectfully shortened to allow my reader to use his or her own imagination to fill in gaps and render it personal. You know the thing- a sketch, an outline, some unexpected detail then let the reader run with it. Not Saul Bellow. 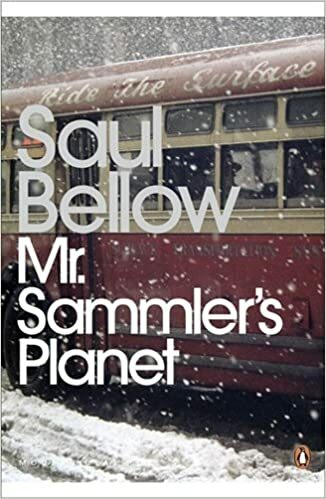 In ‘Mr Sammler’s Planet’, the descriptions of Sammler go beyond his blind eye and bushy brow; his daughter Shula’s wig is a thing of wonder to the reader and the thief on the train is described far beyond his expensive camel-hair coat. I love the way Bellow writes. A little like the wonderful Gogol, Saul Bellow is sitting at your shoulder, telling you how he sees it. And he tells it with such accuracy and lucidity. That is inspirational. 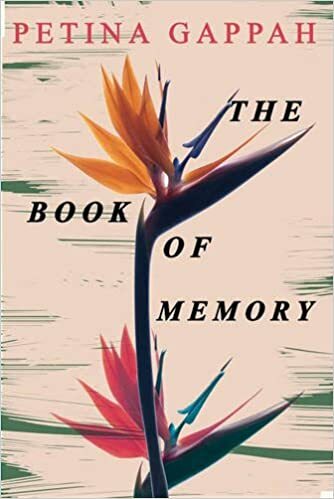 I highly recommend both books if you haven’t read them, and the same is more than true for Petina Gapppah’s ‘The Book of Memory.’ I don’t know why I haven’t read it before; it is an important book. Firstly, it is inspirational for the way the story begins. Grab your reader from the first sentence. Give them a knock-out punch which will make them reel throughout the rest of the pages.In the first few lines, we realise that Memory’s parents sold her, she is on death row and is accused of killing the man they sold her to. So there is a plot you so want to unravel as a reader.A great lesson to any writer is give the reader a puzzle and make them want to solve it with what happens now? Memory is an albino woman in a prison in Zimbabwe and her story is told to her lawyer, enabling easy access to storytelling and flashbacks. Another lesson: set it up right and the story will flow. And a third lesson: create a character who is interesting, resolutions not resolved, an interesting past and an unforeseeable future and you have magic the reader cannot resist. I am researching for my second novel. I have a few shreds of ideas and I can’t help but analyse what inspires me in other writers. Of course, I will look at material and ideas outside books, but it is important, I think, to gain inspiration from as many places as possible. One good place to start is always to consider what other writers do well and then ask myself how I can apply it freshly to my own work. The other side of the same coin is to ask myself what doesn’t work for me as a reader and how can I avoid making similar mistakes in my writing. Unnecessary indulgence in description, (the boring bits! ), too much telling and not enough showing, accidental writer intrusion and characters I don’t engage with (either positively or negatively,) are high on my list. My next move in my research plan is equally inspiring: I will undertake some travelling to locations, some on-line research and some calm restful thinking which involves a beach or a long walk in the countryside. Reading lots of books, walking, thinking, finding out. Are there any down sides to being a writer? That will follow in another blog post, I think.